Going completely vegetarian has always been a non-starter for me, as the second I contemplate cutting out meat I immediately begin fantasizing about chargrilled steak. However, at university I went through a semi-vegetarian phase. I started buying better quality meat, and consequently, as I was an impoverished student, eating much less of it. 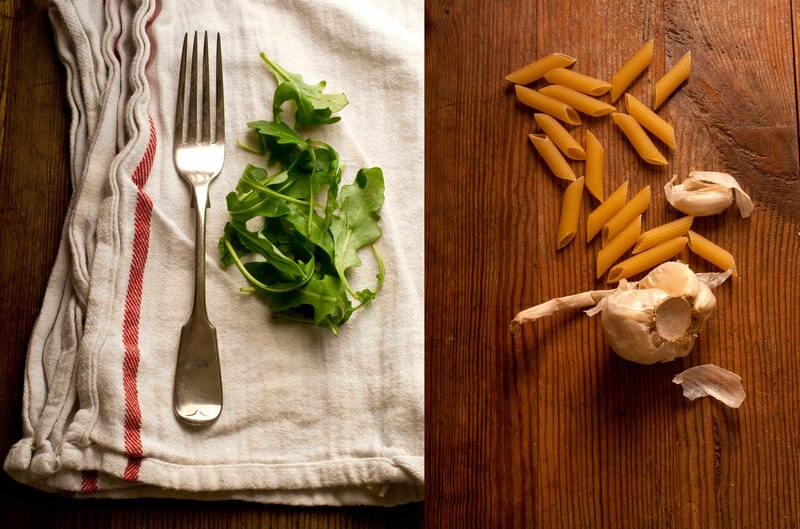 I think vegetarian meals force you to be a bit more inventive and imaginative. It forces you to think outside the meat-and-two-veg box. Instead of relying on meat as the star of the meal, and everything else as secondary, meals become a collection of equally important elements. This is one of the things I cooked a lot during my effort to eat less meat. 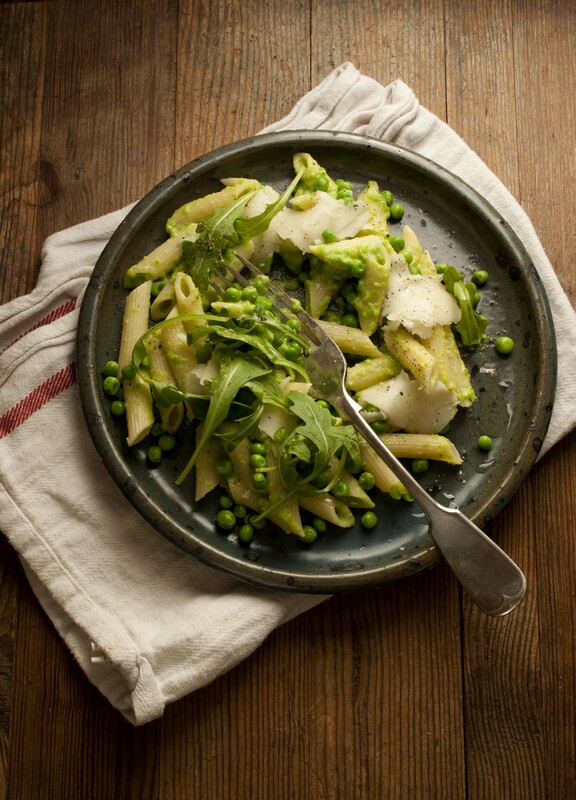 I’ve always been a devoted fan of pasta, and peas for that matter, so I liked this dish before I’d even tried it. 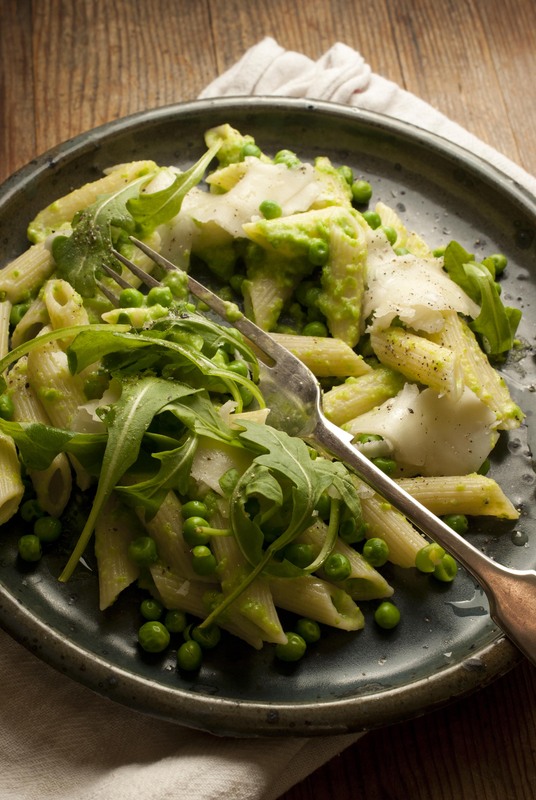 Blending the peas with goats’ cheese and a hit of garlic into a creamy sauce works along the pesto lines of yumminess, whilst the rocket adds a peppery freshness. If you’re one of those individuals who absolutely can’t resist adding meat to everything, top with some pieces of streaky bacon, fried to a crisp. Get a large pan of water boiling and cook the pasta. 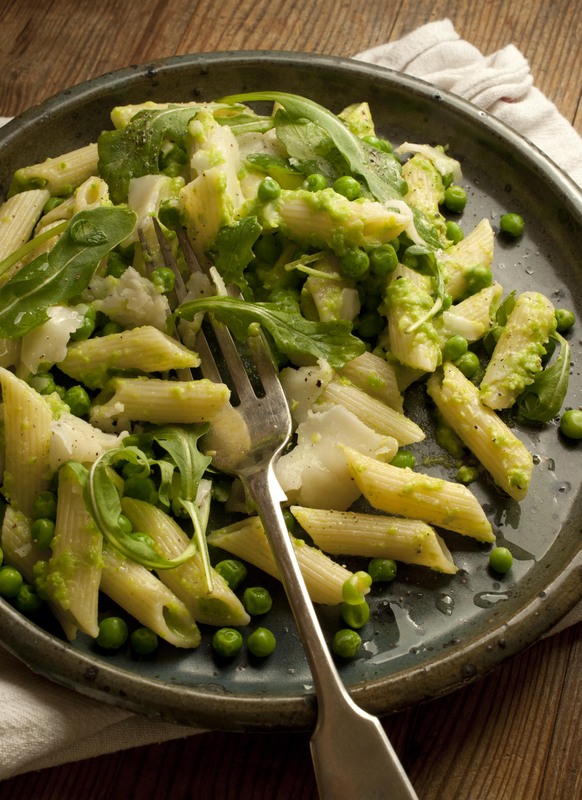 When the pasta is almost cooked, put the peas in a pan, just cover with water, and simmer for 5 minutes. Drain peas, reserving ½ a mugful of cooking water. Blend ¾ of the peas with the cooking water, garlic, butter, 200g of the goats’ cheese and a generous grinding of salt and pepper. Mix this into the drained pasta, scatter over the remaining whole peas. When ready to serve, top with the remaining cheese and the rocket. 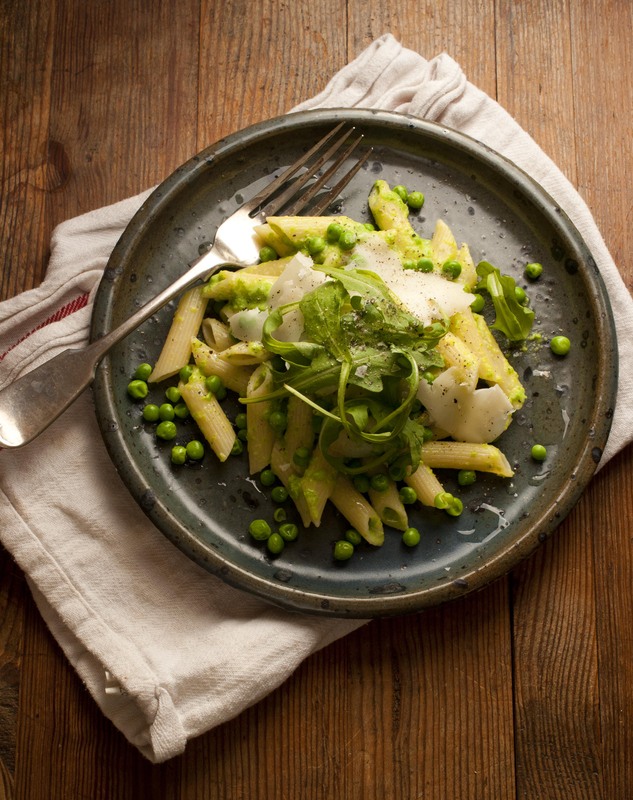 This entry was posted in Pasta, Savoury, Vegetarian and tagged goats' cheese, pasta, peas, rocket, vegetarian. Bookmark the permalink.